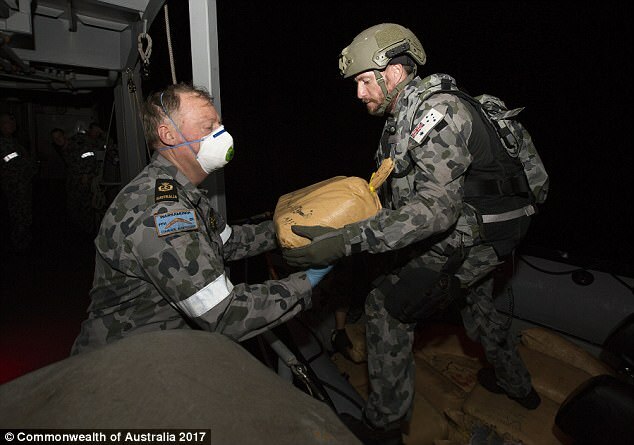 'The operation will impact on the flow of narcotics around the world and the use of drug money to fund extremist organisations,' the Commander of Australian Forces in the Middle East, Major General John Frewen, said in a statement on Saturday. 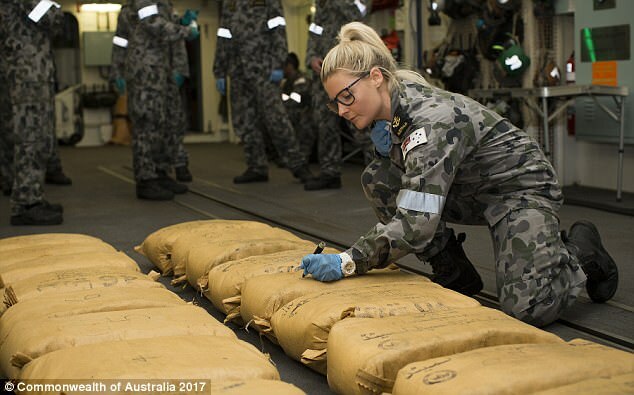 'These drug seizures support Australia's long-term mission to ensure maritime security and stability in the region,' he added. 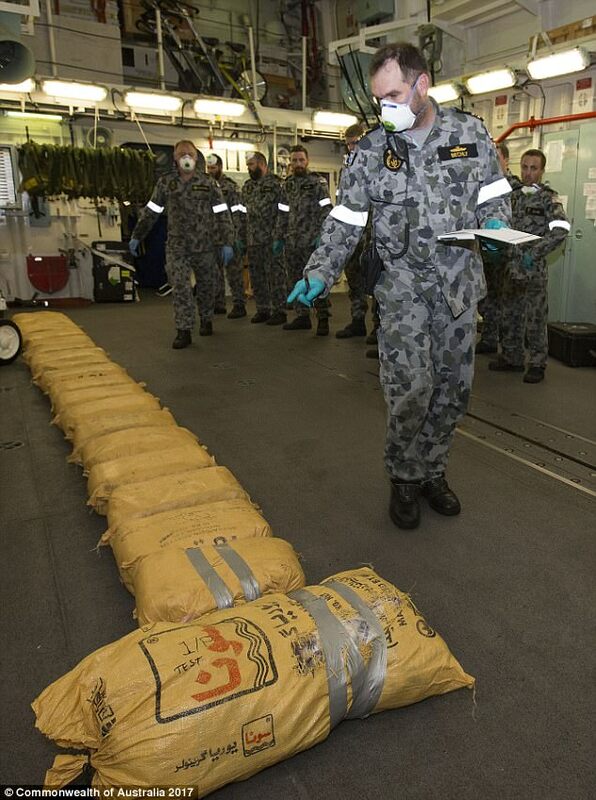 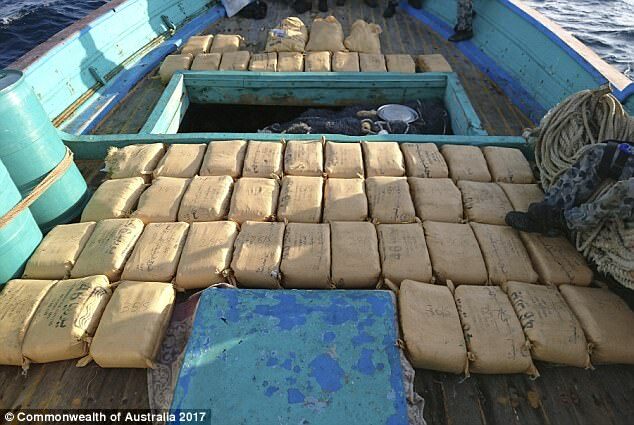 It's largest haul of hashish seized by an Australian ship in Middle East maritime security operations. 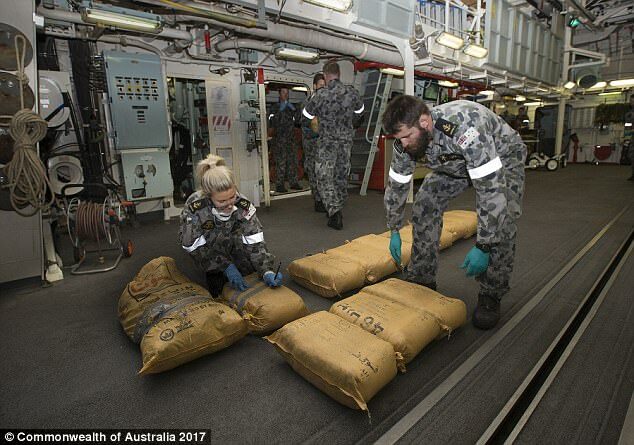 Commanding Officer HMAS Warramunga, Commander Dugald Clelland RAN, said the operation was the result of months of hard work by the ship's company. 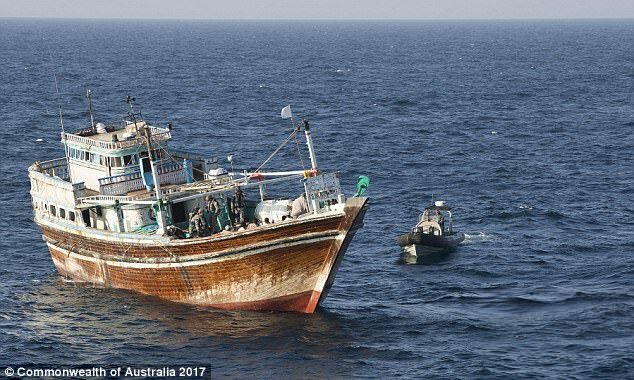 'The crew prepared extensively for a task like this and we were able to employ our helicopter and boarding crews to locate and board three suspect vessels. 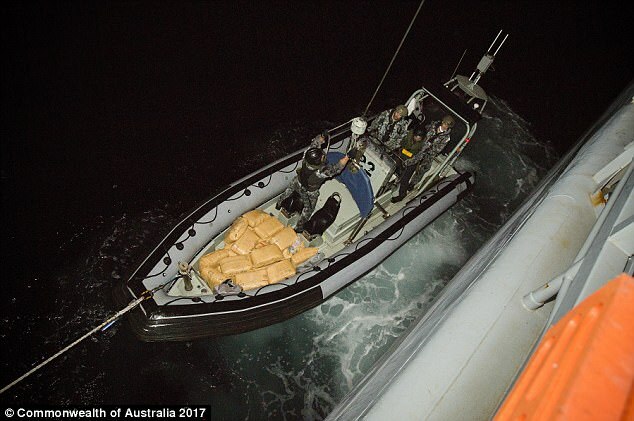 'A thorough search by the boarding parties uncovered a large quantity of hashish and heroin intended for distribution around the world,' Commander Clelland said.